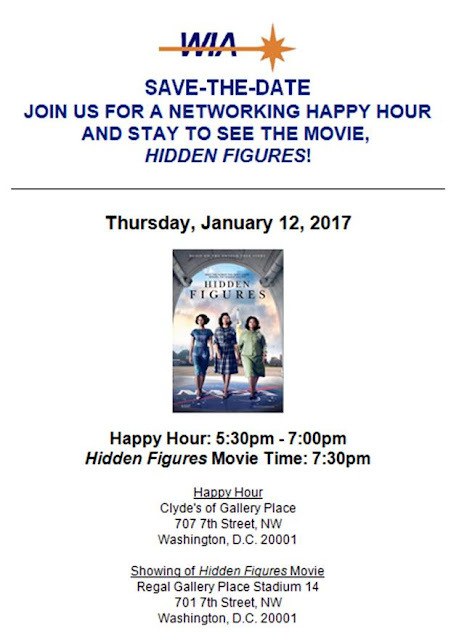 The movie Hidden Figures officially opens tomorrow - but we're lucky to live near one of the "select theaters" that started playing it on Christmas Day. We'd seen the previews and couldn't wait to see it. IT WAS SO AWESOME. GO SEE IT NOW! We had a multi-generation group (my mom, one of her dear friends, my husband and I, and our kids) and we all loved it and talked and talked on the way home about the parts and performances we liked best. 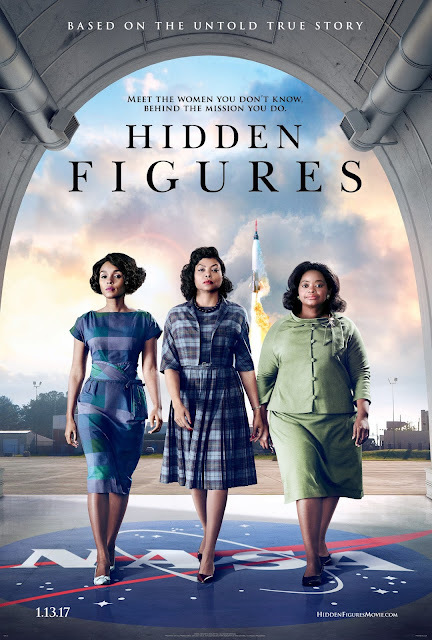 Taraji P. Henson, Octavia Spencer and Janelle Monae were breathtaking. The audience at our showing clapped a couple times - how long has it been since you've been to a movie like that? It's rated PG and completely appropriate to take school aged kids to see. ALSO: the music is awesome. Pharrell Williams was one of the movie's producers and wrote a lot of the songs for the movie. The sound track is on heavy rotation at our house. If you live in the DC area, Women in Aerospace is hosting an event January 12th that you should consider (you don't have to be a member to attend). You can network AND see the best movie of the season! Click this link to RSVP.